The 12 October 2018, marks the start of an ongoing collaborative commission opportunity with the cement manufacturer PPC. 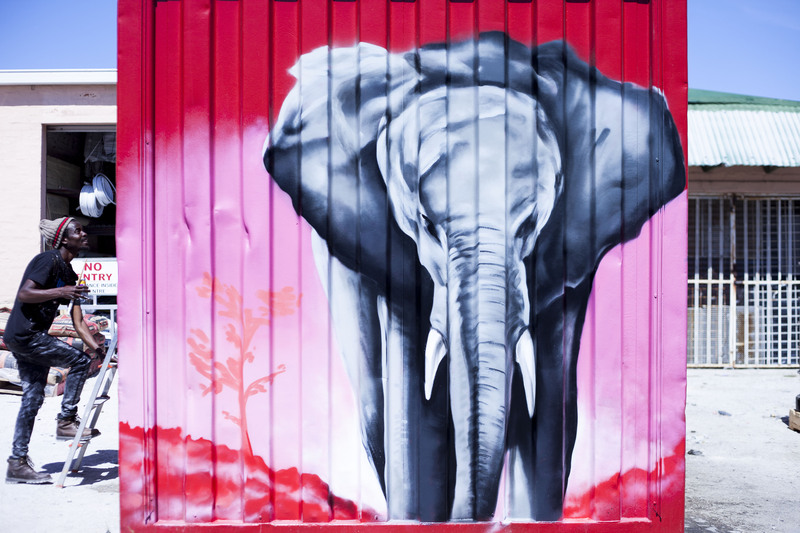 BAZ-ART was approached to create large scale murals for PPC, branding containers with their logo and product images. The debut activation took place in Asanda Village, Strand. Jean Pierre Rossouw was selected as the lead artist accompanied by two assistant artists from the community of Delft. Jean Pierre was thrilled to exercise his artistry and create work displayed on a large scale canvass for the entire community to admire. It pleases us to be able to provide these opportunity for local street artists. 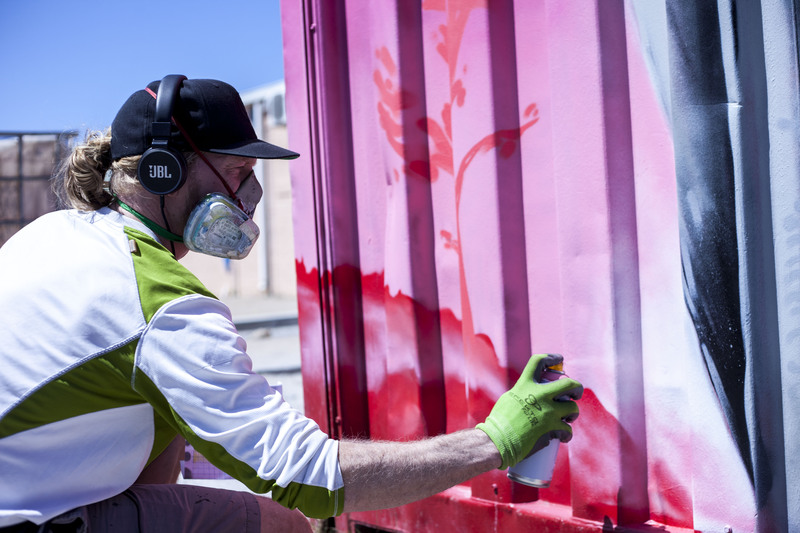 Going forward, BAZ-ART aims to create long-term, ongoing partnerships such as this to mitigate street artists unemployment while simultaneously bring colour to communities around Cape Town. Our prime mandate is to harness the power of public art by creating these unlikely relationships among art, artists, local communities and businesses there within. We believe that there is much more potential to be tapped into and we look forward to unleashing the artistry of more street artist going forward.